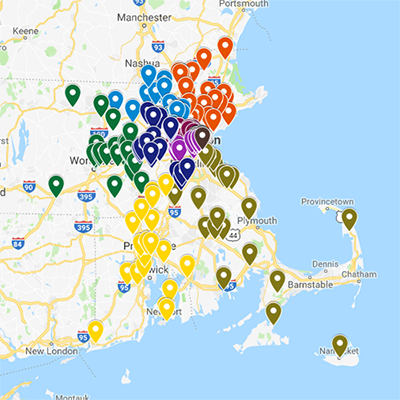 Our District is comprised of Toastmasters clubs in eastern Massachusetts and Rhode Island. Each District in Toastmasters is aligned into divisions and areas. Each club is part of an area; each area is part of a division; several divisions make up our District. As the number of clubs grows and our presence in eastern MA and RI expands, areas and divisions shift. 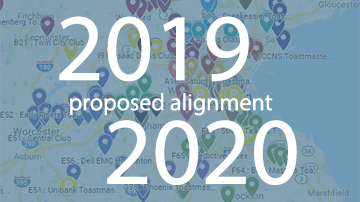 Each year we conduct a realignment of District 31 to ensure that we are meeting the guidelines set forward by Toastmasters International, and also to fairly and evenly distribute clubs. Questions? Contact the District 31 Trio.